The 2 Week Fast Track Karma Clearing – MATRIX Clearing Program by Phone is the most comprehensive healing program you can experience in such a short period of time. The 2 Week Fast Track Karma Clearing – MATRIX Clearing Program by Phone is Alexandriah Stahr’s recommended program for those who want the best value for your money. Alexandriah has always offered a 2 Week Fast Track Karma Clearing – MATRIX Clearing Program by Phone, although the content within it has changed and grown over the years to reflect her increased awareness of what is needed to provide foundational work for the continuing process of her FREEDOM From the MATRIX Program. Always included in this series is the All Inclusive Ashtar Command Etheric and Alien Implant Removal Process which includes the removal of the UFO Grey Implants MATRIX and removal of Government Programmed Multiple MATRIX if it is needed. For those not affected by Grey Implants, the appropriate Etheric and Alien Implant Removal will be done for you by removing the entire MATRIX which contains Etheric and Alien Implants and Imprints of all kinds as well as the Contracts and Agreements MATRIX which hold them in place. Although Alexandriah considers this to be the beginning of her work, it includes levels of clearing that other healers are unaware of and unable to touch as the MATRIX Programming is a separate energy body and requires a separate level of clearing unto itself. What makes Karma Clearing - MATRIX Clearing different? Alexandriah no longer removes individual issues, she removes the MATRIX which contains the programming which causes you to experience whatever you are experiencing. Think of the MATRIX as a "movie" being projected onto your screen of life, continuing in its story line until it is completed or removed. MATRIX Removal is a much more complete way of dealing with your issues. For those who have been doing clearing work for many years, you will be surprised as deeper levels of issues you thought were gone will emerge and be released once again and this time it will be complete. Think of the MATRIX as unending realities that release to show the next one behind it. Each reality is controlled by programming which is released along with the reality it creates as each MATRIX Level is removed. All other healing work done by others is inside the various MATRIX programs and does not touch or change the programming itself which is what is needed to become FREE From the MATRIX. 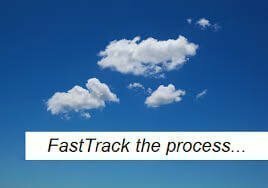 What is included in the 2 Week Fast Track Program? 14 Days of Link Up to the 2 Week Fast Track Star Team Masters which do the Etheric and Alien Implant Removal Process over the course of the 14 days while you sleep. 3 telephone healing/training sessions, and the newest prayers and techniques Alexandriah teaches all her clients to keep themselves clear after the 2 Week Fast Track Program and for those going into the Monthly Star Team Program. This 2 Week Fast Track Program gives you both the background information your mind needs, the follow-up techniques and tools for you to receive maximum benefit from the clearings, plus Alexandriah is available to heal/train and answer your questions as you go through this process and explain what lies ahead. This is the most comprehensive clearing of its kind on the planet today and gives you the best value in time and money. The 2 Week Fast Track Program is complete within itself, but Getting Free From the MATRIX is an ongoing process. Once you complete your 2 Week Fast Track Program, you can either join the Monthly Star Team Program or you can request E-Sessions as you feel the need to continue the process. The energy exchange for the 2 Week Fast Track Program is currently offered at $420.00 USD. If you are ready to jump right in, you can prepay here for the 2 Week Fast Track Program OR you can schedule the 1st Time Caller Special instead to get more information before you commit. Once you prepay for your 2 Week Fast Track Program, you will receive email confirmation and instructions on how to schedule your appointment time within 24 hours.